Zucchini slice is a staple in our house, it makes the menu plan every week. Yes, every week! !I can make this slice in my sleep!! 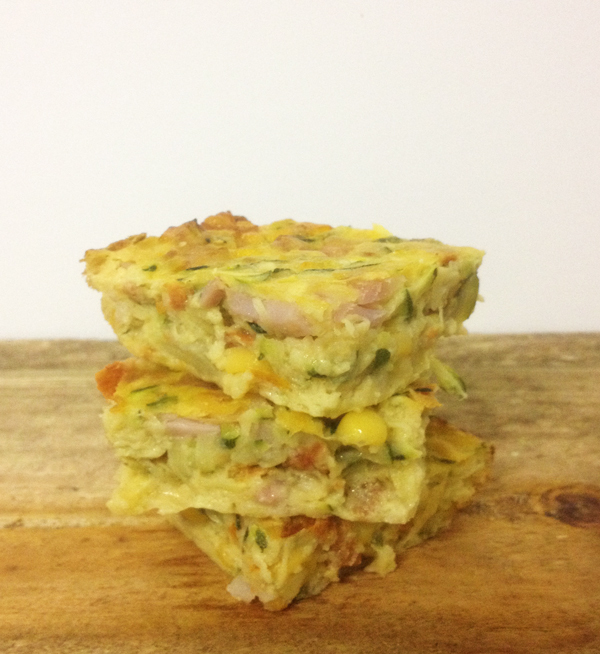 This slice ticks all the boxes, its healthy, quick & easy to make, can be eaten hot or cold, is great to batch make & freeze, but best of all everyone loves it! Miss four & six like it cold in their lunch boxes, Mr Mama Going Natural likes a huge slab heated after work as a pre-dinner snack & me, well I just like it anyway I can get it – because it disappears around here. I like to make a double batch & once cold portion into single serves that I then cling wrap & hide in the freezer as quick lunchbox snacks. They go into the lunch boxes straight from the freezer & are ready to eat by lunchtime. I make this zucchini slice with all the ingredients my family like, so feel free to add or omit any ingredients. If you don’t have rugrats I would recommend adding a little ground pepper – I can’t even add a single grain, my girls can sniff out pepper a mile away & will declare the offending food too spicy. I figure the mister & I are going to be stuck eating bland, un-herbed food for about another five to ten years! After which this house will be spice city! The only other thing I would recommend is using as bland an olive oil as you can find, as that can add a certain spicy element – which the rugrats will sniff out. What makes this slice so delicious is the caramelised bacon & the parmesan cheese, it makes for a yummy, flavoursome cheesey slice, just without all the calories. Slice your bacon into cubes & then saute until nice & caramelised, let it cool while you assemble the other ingredients. Place the Zucchini, shallots, corn kernels, sundried tomatoes & cheese in a bowl & mix well, add your cooled bacon. Add the eggs, oil, salt, flour & baking powder & stir till combined. Pour into greased or lined baking dishes & bake for 45 minutes at 180 degrees. 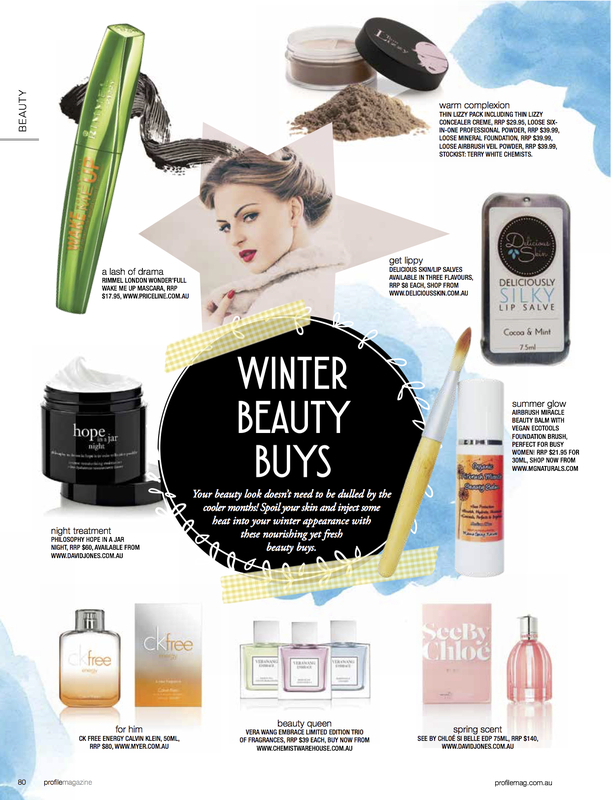 Look who was featured in Profile Magazines “Best Winter Beauty Buys” spread! !